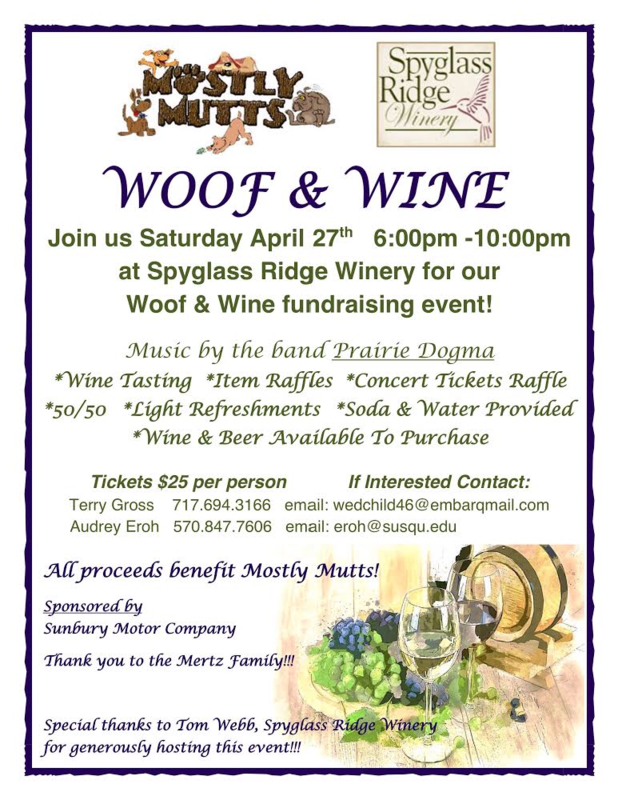 Join us on Saturday April 27th from 6:00pm -10:00pm at Spyglass Ridge Winery for our Woof & Wine fundraising event! Light refreshments, Soda and Water provided, Wine and Beer available for purchase. All proceeds to benefit Mostly Mutts! Sponsored by Sunbury Motor Company —-Thank you to the Mertz Family! Special thanks to Tom Webb, Spyglass Ridge Winery for generously hosting this event!! !